Nothing makes your home look so put together like a candle. OneGrid’s candles will compliment your space while giving back at the same time. All the candles are hand poured, are made in the U.S. and are available in six different scents. For every candle that is purchased, OneGrid will donate a solar lamp to a person who doesn’t have access to electricity. Kerosene lamps are known to be toxic to lung health. Which is why OneGrid partners with SolarAid, a nonprofit charity that helps provide solar lamps to those with no access to electricity. Brooklyn Candle Studio’s candles are the closest thing to perfect that we’re willing to set on fire. Their design is gorgeous and minimalist, their scents are rich with memory, and their ingredients are American-grown and eco-friendly. Each 100% vegan candle is made from American-grown soybeans, led free cotton wicks, and a blend of essential oils and phthalate-free perfume oils. They each hold 60 hours of burn life, which translates into some major relaxation time. 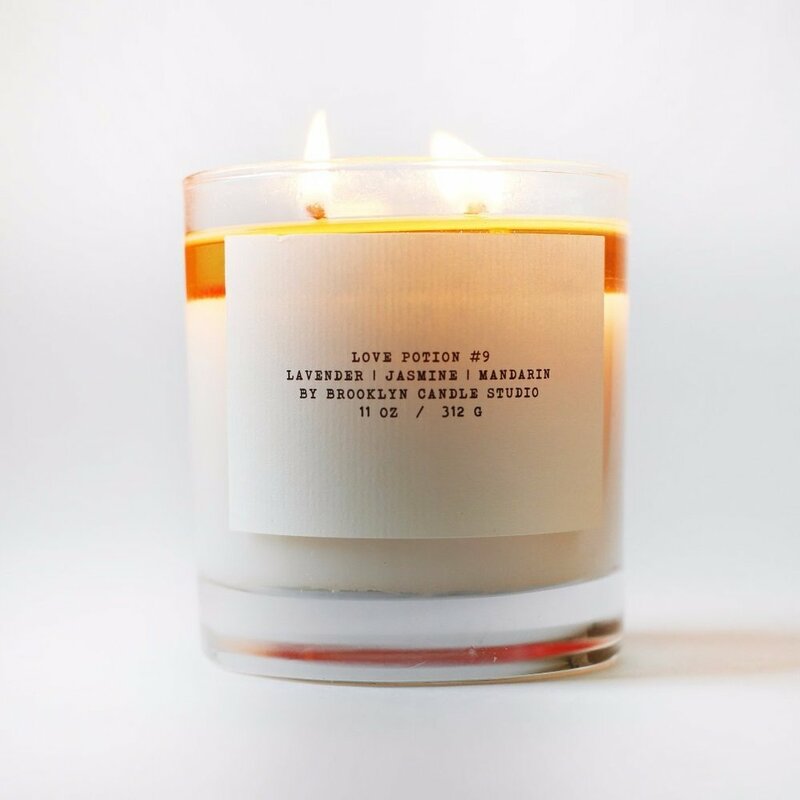 After the horrible events led by hate groups in Charlottesville in August 2017, founder and designer Tamara Mayne decided to donate 10% of every Love Potion #9 candle to the ACLU in an effort to support the legal fight for equality. She notes she was called to share profits with the ACLU “as a woman, a mother, an Asian-American, as an employer of women and minorities, and, frankly, as a human being”. We must have fallen under the Love Potion spell, because we love these candles as much as we love this cause. Aveda has been a trusted source of environmentally and socially conscious beauty products for many years. Founded in 1978 with the mission to create holistic beauty through wellness, men and women have grown to trust and appreciate the Aveda brand when seeking quality products for daily use. Aveda takes their holistic mission to a whole new level with their annual, limited-edition Light The Way Candle! Since 2007, they’ve been donating 100% of their Light The Way Candle’s purchase price towards the mission of clean water. This year’s partnership is with Global Greengrants Fund, as clean water is an ongoing daily struggle for much of our global population. Although their clean-water efforts are a year round endeavour, these beautiful candles are released each April in support of Earth Day. What an exquisite, perfect way to add light and texture to a space, party, table...these are beautiful. Unique, mysterious, impressive gifts...perfect for the holidays! These gems come from the markets or souks in Morocco. Souk Brass Box Candles, each a little different in size, color and design. Prosperity Candles are created by women who have recently resettled from refugee camps and are working to make a living wage and create healthy, happy lives for themselves and their families here in the United States. Limited quantities available for Fall 2015, all candles are made to order...and made with essential oils. Each comes gift boxed, including a portrait, the signature and story of the woman who made your candle. Continue to love this company...Smitten. I'm from Minnesota, where there is nothing more reminiscent of home, or comforting to my senses, as the scent of a smoldering campfire. Creating that scent in Southern California, without a fireplace, is virtually impossible. But Treana Peake has created a candle that if I close my eyes, takes me right back to Kabekona Lake in July. The Obakki Cinder Candle smells of roasted coals, river stones and dry wood...and when purchased, helps provide clean water in other parts of the world. 100% of all candle proceeds go toward Obakki projects. Treana Peake is an avid traveler and leading humanitarian, and founded Obakki in 2005. Based in Vancouver, the luxury label is an extension of Peake. The Obakki Foundation is Obakki's philanthropic counterpart, a registered charity that focuses on providing clean water and education in Africa. Obakki absorbs all the administrative fees of the charity, allowing 100% of the foundation's donations to go directly to its charitable initiatives. I'm truly not one to make any sort of deal out of Valentine's Day...I've always thought it a wee silly. But if you're going to participate, and purchase anything for anyone this season, why not this exquisite candle? The gorgeous Coco Shine collection comes in five luxurious scents, as well as non-scented. Created by Prosperity Candles, they smell divine and are poured into recyclable, real coconut shells (5 - 6 inches in diameter!) Made by women artisans from Vietnam, once refugees, now working to build beautiful brighter futures for themselves in western Massachusetts. Each candle comes gift boxed and wrapped, including a portrait, the signature and story of the woman who made it. My shopping list always seem to include: that perfectly well worn pair of jeans…and a terrific smelling candle. Well, leave it to Raven + Lily to help me with the latter. Their Sliver Lake Candle is freshly scented, elegant...and ethical. Stunningly designed, the Silver Lake Candle is a hand-poured, soy wax candle, infused with the lush scents of mango and grapefruit, and beautifully encased in glass with a gold leaf foil bottom. Created in Los Angeles, California by women who are transitioning out of homelessness. This employment opportunity allows for these talented, dedicated women to continue on their paths to autonomy. Currently Raven and Lily helps to employ marginalized women in India, Ethiopia, Kenya, Cambodia, Pakistan, and the USA at fair trade wages, thus giving them access to safe jobs, sustainable incomes, health care, education…a chance to break the cycle of poverty for themselves and their families.